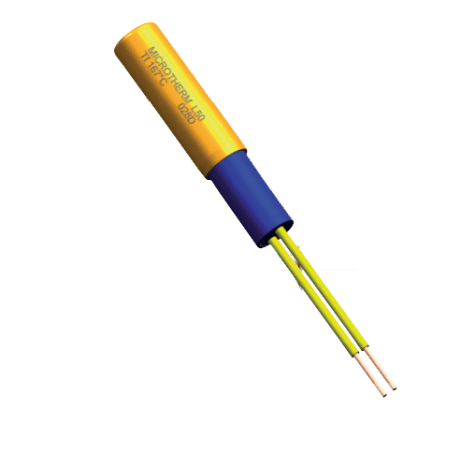 HDM | L10 | L50 | MTEF | MTHF | MTKF | MTML | MTNF | MTR1 | MTS1 | MTTF | MTYF | MWS | SDF | S3M Thermal fuses are components which will automatically open a circuit and switch off an appliance, if the permissible operating temperature of the appliance is exceeded. The response temperature can only be set by the manufacturer. In order to repair the circuit, the complete thermal fuse must be replaced. Thermal fuses have a solid, dust and dirt- tight housing. They react to ambient temperature and are generally insensitive to current at rated levels. Above this temperature the TCO might conduct again. All current ratings relate to resistive loads. 1) not approved 2) UL approved only 3) T>200°C on request | Deviations from standard types on request.